Simplicity of immediate treatment using precise surgical instruments produces better results and increased patient satisfaction. Trigger Tome will provide the physician with more control over his or her own schedule and can improve reimbursement economics. Tired of terrible turnover times? Arranging O.R. time with the hospital or surgi-center is not always simple or convenient for the surgeon. In addition, O.R. 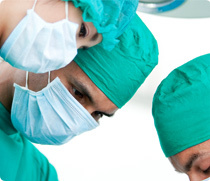 schedules can often result in significant down-time for the surgeon, between cases, because of turnover time. What if you could offer your patients an immediate office-based treatment option without the potential complications of working with the hospital?